Julia Pearson has been a dance instructor for the past fourteen years, teaching children from the ages of 3 years old to 8 years old. She was a student of ballet, tap, and jazz at Kathy Haller School of Dance in Los Angeles and a student of ballet, jazz, and musical theatre at Rozann Zimmerman Ballet Center in Los Angeles for 10 years. Ms Julia began student teaching for pre-ballet classes at Rozann Zimmerman Ballet at age 13. She began instructing her own classes after 5 years of apprenticeship. 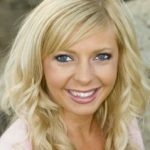 Ms. Julia has a degree in Theatre from San Diego State University which she has used to choreograph for local children’s Musical Theatre productions, most notably for the Salvation Army’s Kroc Center and The City Church. Ms. Julia has taught at a multitude of studios in San Diego before making Danceology her home. 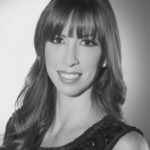 She has experience in studio management, stage production, and has played an instrumental role in developing the Tiny Tots and Mini’s programs here at Danceology. Ms. Julia balances discipline with love in all her classes. She cultivates a very warm and inviting learning atmosphere for young ones while providing the structure to teach true technique.